Home Gantt Chart Can I print my Gantt chart? 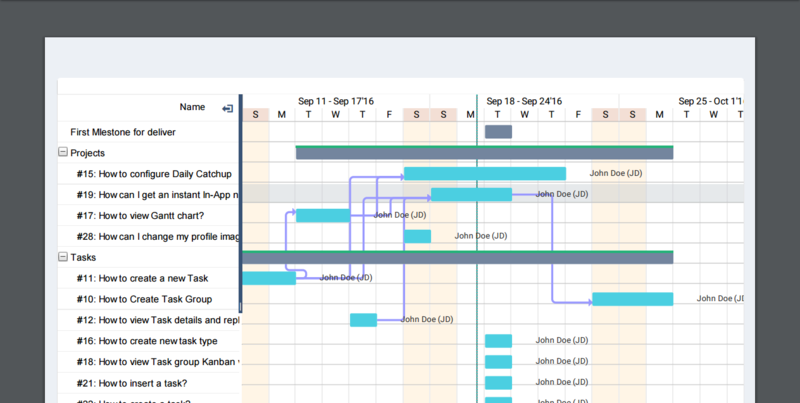 On the Gantt chart page, there is a print icon. You can click on it to print the Gantt chart. Also you can use the Zoom In/Out option for better picture.